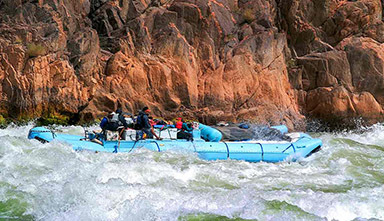 The Cataract Canyon rafting trip takes you through the heart of Canyonlands National Park , with just the right balance between leisurely floating, incredible hiking, and fast moving whitewater rapids. The trip ends on Lake Powell at Hite Marina. Spectacular scenery characterizes this moderate stretch of the Colorado. 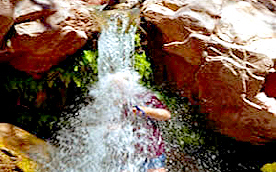 Day trips begin upstream of Moab and finish next to Arches National Park . This section is named for the prominent series of rock towers that can be seen from the river. Families looking for a unique family vacation should try a Fisher Towers overnight adventure, which begins at the historic Dewey Bridge . 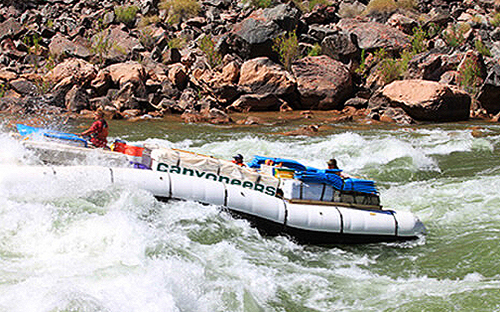 Horsethief and Ruby Canyons are perfect for anyone who wants a leisurely paced rafting trip. Float past towering sandstone cliffs, visit Fremont Indian pictographs and petroglyphs in McDonald Canyon Cultural Resource Area, and enjoy hearty meals prepared by your multi-talented guides. 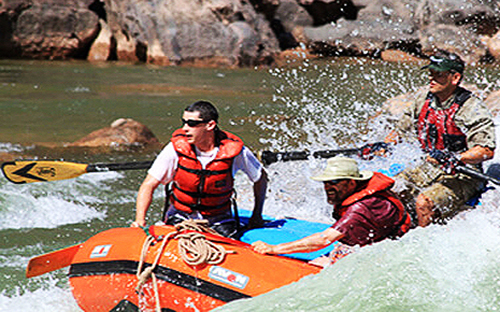 With Class I-II rapids, rafting in Ruby Canyons can be enjoyed by any age at any skill level. 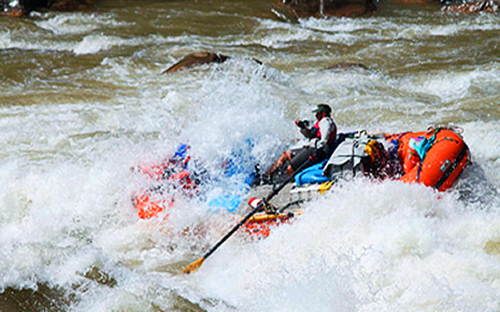 National Geographic labeled Westwater Canyon as "the West's Best Short White Water Rafting Trip." 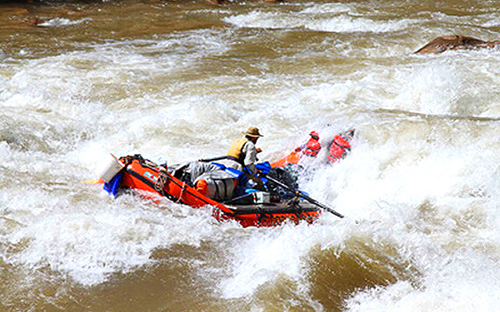 The 17-mile river stretch contains 11 class 3-4 rapids, plus numerous less-challenging rapids. Westwater Canyon is best run from April through October. Peak time is in June. Westwater Canyon begins near the Utah/Colorado border, approximately 50 miles northeast of Moab Utah. In the heart of Utah's Canyon Country runs the Dolores River . This is one of the area's best kept secrets since being discovered by Spanish explorers in 1765. Since then, only a handful of people have come to experience this great river. It is a remote place known only to a few adventurers. 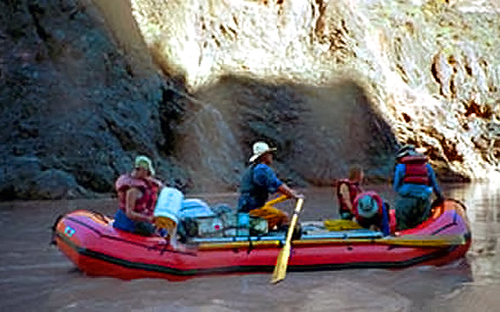 Split Mountain Gorge rafting adventure covers nine river miles through a 1,500 foot canyon carved by the Green River. 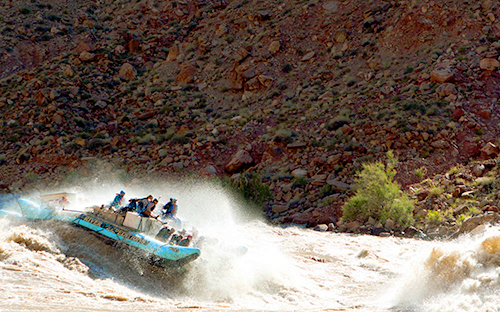 Gray Canyon ’s 9-mile stretch through the lower portion of the Green River takes from ½ day to 1 day to raft. This segment includes seven mild rapids, though there may be a few class 3 rapids in high water. The Labyrinth Canyon ’s 45 miles from Ruby Ranch to Mineral Canyon is a truly beautiful trip. The canyon cuts deeper and deeper into the geology as you travel downstream; especially beautiful where in slices through the Navajo and Wingate sandstone. 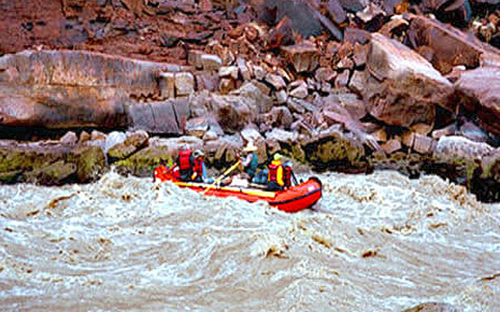 The Green River in Colorado surges among gorges glutted with the remnants of giants. At its start, the Green River twists through the Gates of Lodore, a catacomb of scarlet slot canyons, yawning valleys and lush ledges of emerald evergreen and brush. If you're looking for Utah white water rafting at its finest, Yampa River rafting in Dinosaur National Monument has it all! Action, excitement and history. The Yampa River is the last major tributary of the Colorado River System that is natural and free flowing.